In a newly published study, scientists at the University of California show the ability to selectively remove a memory and predictably reactivate it by stimulating nerves in the brain at frequencies that are known to weaken and strengthen the connections between nerve cells. Co-authors include Rocky Fox and Christophe Proulx, UCSD Department of Neurosciences; and John Lin and Roger Tsien, UCSD Department of Pharmacology. This research was funded, in part, by the National Institutes of Health (grants MH049159 and NS27177) and Cure Alzheimer’s Fund. 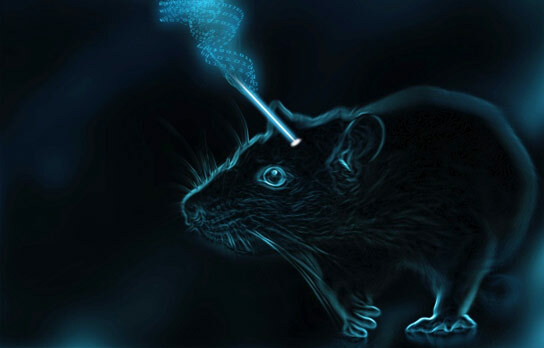 Be the first to comment on "Scientists Confirm Cellular Basis for Memory by Implanting and Erasing Fear in Rats"